Note: A Work in Progress, much more to be added. All have "Limited" after their names (with the "Limited" not shown below purely to avoid unnecessary duplication). This list excludes entities trading in Bermuda but not registered as incorporated (showing "Limited" after their name). Showing date incorporated in Bermuda with date shown the American way. Fairfax Bermuda Holdings 5/30/2013. Bermuda arm of and owned by Fairfax Financial Holdings of Toronto which was the largest shareholder in and now owns BlackBerry. The BlackBerry, pioneered in 1999, was once the dominant smartphone for on-the-go business people and other consumers before Apple's iPhone debuted in 2007. 2016. December 19. Canadian investment and insurance company Fairfax Financial Holdings Ltd has agreed to buy Allied World Assurance Company in a $4.9 billion cash and stock deal. The proposed transaction has been unanimously approved by the directors of both companies. Allied World was among a number of insurers and reinsurers formed in the immediate wake of the 9/11 attacks in the US. The company was set up in Bermuda as a joint venture between American Insurance Group, Chubb Corporation and an investment fund managed by Goldman Sachs & Co. In 2010, Allied World redomiciled from Bermuda to Switzerland, however it maintains an office in Bermuda. Globally, the company has 1,040 employees, according to a Forbes report. Two years ago, it expanded its North American insurance operations by opening a branch in Toronto. In the proposed deal, Toronto-based Fairfax will pay $54 for each Allied World share, which is about 18 per cent higher than their closing price on Friday. Allied World shareholders will receive about $10 cash and $44 of Fairfax’s stock for each share they own. Fairfax has an option to increase the cash portion up to $30 per share. Prem Watsa, chief executive officer of Fairfax, said: “We are excited to have Allied World join the Fairfax group. Allied World is a high-quality company with an excellent long-term track record and an outstanding management team led by Scott Carmilani. Allied World will operate within the Fairfax group on a decentralized basis after closing, and we are looking forward to supporting Scott and the entire team at Allied World in growing their business over the long-term.” Mr Carmilani will continue as chief executive officer of Allied World, according to a report by The Washington Post, which quoted Mr Watsa as saying Allied World “will be the largest and the best company that Fairfax has purchased in 31 years”. Meanwhile, Mr Carmilani called it a tremendous opportunity. He said: “Our shareholders are being rewarded for the strong performance of Allied World over the last ten years since going public. We are strategically aligning ourselves with Fairfax, one of the premier companies in the insurance industry which has a great track record of supporting their operating companies and creating value for shareholders. We are excited to be joining the Fairfax organisation — we share their passion for underwriting excellence and their entrepreneurial approach to growing the business with a long-term orientation. Our shareholders will benefit from Fairfax’s tremendous investment capabilities as demonstrated by its superior long-term investment track record.” He added: “The success of Fairfax’s decentralized approach in empowering their management teams to drive profitable underwriting and combining Fairfax’s investment philosophy will position us to create long-term value for shareholders. Fairfax provides a great home for Allied World to continue to build a strong business for our customers, business partners and employees.” It is intended that the transaction will be effected by way of an exchange offer, followed by a squeeze-out merger, and conclude in the second quarter of 2017. The acquisition deal is subject to a sufficient number of the outstanding Allied World shares having been tendered in the offer, approval by Allied World shareholders and, to the extent required by applicable regulations, Fairfax shareholders, approvals from applicable regulators and satisfaction of other customary closing conditions. In a statement, Allied World said its position “as a market-leading global property, casualty and specialty insurer and reinsurer, its major worldwide presence and its disciplined approach to underwriting make it a natural candidate to join Fairfax’s expanding worldwide operations”. The company said its “growing international reach is highly complementary to Fairfax’s existing worldwide operations and the acquisition further diversifies Fairfax’s group risk portfolio. In addition, Allied World will be able to leverage Fairfax’s expertise in Canada, the US and international insurance and reinsurance markets, thus enhancing Allied World’s global product offering and providing it with expanded underwriting opportunities and support”. Last year, Fairfax Financial acquired insurance and reinsurance group Brit Plc. Fermat Capital Management Connecticut-based, John Seo, managing principal. Fibonacci Reinsurance 2016. Special Purpose. 2017. January 3. Renaissance Reinsurance Ltd today has formed Fibonacci Reinsurance Ltd, a special purpose insurer domiciled in Bermuda. Fibonacci Re will provide collateralised capacity to Renaissance Reinsurance, the principal Bermuda-based reinsurance subsidiary of RenaissanceRe Holdings Fibonacci Re, which has raised $140m of capital from third party investors and RenaissanceRe Medici Fund Ltd, has issued participating notes which will be listed on the Bermuda Stock Exchange, an arrangement that enables Renaissance Reinsurance to support its clients with additional property catastrophe reinsurance capacity, the company said in a statement. Fideles Insurance Bermuda June 2015. 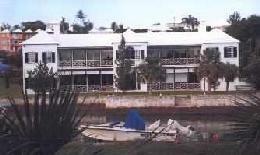 Waterloo House, 100 Pitts Bay Road, Pembroke, Bermuda HM 08. Phone (441) 279-2500. Insurance and reinsurance firm established with a massive $1.5 billion in equity. Opened its doors after a cash injection from three private equity firms — Crestview Partners, CVC Capital Partners and Pine Brook worth $650 million. The firm underwrites insurance and reinsurance business, mostly in the property, energy, marine and aviation sectors. Formed by veteran insurance chief Richard Brindle, former CEO of Bermuda-based Lancashire Holdings. His Fidelis Insurance Holdings, of which this company is a part, is a hybrid company seeking to use the best of underwriting and the hedge fund reinsurance model. Neil McConachie, also one of the founders of Lancashire, is the chief financial officer. The firm is backed by Los Angeles-based Oaktree Capital and other investors. Fidelis will underwrite both insurance and reinsurance risks, with a focus on speciality classes of business. The company will partner with Goldman Sachs’ Alternative Investment and Manager Selection (AIMS) group. So, instead of using a single asset manager in line with existing hedge fund-backed reinsurers, Fidelis will use managers to manage the cycle and match the investment strategy and income more closely with underwriting cycles and liabilities. Private-equity firms Oaktree, Crestview and Pine Brook are lined up to take 25 per cent of the common equity of Fidelis, with the balance of the $2 billion to come through two fund structures, Fidelis Investors LP and Fidelis Investors Offshore LP. Fidelis said it expected to work with asset and hedge fund managers like Blackrock, York Capital and Crabel Capital among others. Blackrock is working with Ace on ABR Re, while Blackrock has its own reinsurance vehicle. 2015. October 27. Insurance and reinsurance firm Fidelis announced three new appointments designed to boost its underwriting capability. Nick Burkinshaw has joined the firm from Catlin in London and is the new chairman of specialty at the firm. Ben Savill is Bermuda chief executive officer, while Richard Holden will head North American underwriting. Fidelis set up earlier this year with initial capitalization of $2 billion. Fidelis group CEO Richard Brindle said: “Fidelis has made exceptional strides since launch. However, the realization of our strategy and ambitions depend on the continual enhancement of our team the appointment of exceptional underwriters who understand the cycle. “Success in today’s specialist insurance market requires innovation, a clear direction and the provision of targeted bespoke solutions. Nick, Ben and Richard have consistently marked themselves out as some of the market’s leading underwriters. They have built their reputations on challenging outdated practices and working to forge lasting relationships by providing better solutions for clients. They share our vision and aspirations for Fidelis and provide us with additional expertise to strengthen our offering and target further sectors in which we see unrealized potential. I am very pleased to welcome them to our team.” Mr Savill, formerly of Amlin Bermuda, where he led the North American unit, has more than 18 years of experience in the industry, while Mr Holden is a 14-year industry veteran and also joins Fidelis from Amlin, where he was a leading class underwriter. P. O. Box HM 670, Hamilton HM CX. In Bermuda since 1969, it is the international headquarters of Boston's Fidelity Investments Ltd and its subsidiaries shown above and below. It co-ordinates corporate finance, fund treasury, legal and compliance functions in Europe and Asia. The chairman & CEO of the parent FMR Corporation begun in 1946 by his father, was Mr. Edward Johnson III, who owns a substantial Bermuda home. The ownership structure is similar to the US domestic operation of FMR. The Johnson family has controlling interest, with the balance owned during their employment by employees. Photo by the author. Fidus Re 2018. April 20. Bermuda’s insurance-linked securities market has added another feather to its cap with a “first of its kind” $100 million issuance backing a US insurer of municipal bonds. Fidus Re Ltd, a Bermuda-based special purpose insurer, will use the proceeds from the sale of notes for a collateralized reinsurance agreement between Fidus and sponsor Build America Mutual Assurance Company, or BAM. New York-based BAM is a mutual bond insurer whose members are US cities and states. BAM provides them with financial guarantees that lowers their cost of borrowing. Bermuda-based White Mountains Insurance Group Ltd provided initial capital for BAM, which was launched in 2012. As a mutual insurer, BAM was designed to generate unparalleled capital strength to support its guaranty and benefit our investors and issuer members,” Seán McCarthy, chief executive officer of BAM, said. “We have delivered on that promise with capital strength well in excess of rating agency and regulatory requirements. This transaction, the first of its kind, is a creative way for us to expand that surplus even further at an attractive price, which speaks to the quality of BAM’s insured portfolio and the strength of BAM’s position in the marketplace.” Most ILS provide capacity for natural disaster reinsurance and the Fidus transaction is believed to be the first securitised transfer of financial guarantee risk to capital market investors. FIL Bermuda headquartered, head office of Fidelity Worldwide Investment, responsible for coordinating the corporate finance, fund treasury, legal and investment compliance functions. P O Box HM 670, Hamilton HM CX. Venture capital company that focuses its activities in Brazil. In 2007 it partnered with Draper Fisher Jurvetson, a San Francisco-based venture capital firm that backed Hotmail and Skype. Fireminds 2017. September 25. IT firm Fireminds has won a multimillion dollar investment from the majority shareholder in telecoms company One Communications. The massive cash injection from US-based ATN International will allow the tech firm to expand into new markets — and provide a wider range of services to existing clients. And Michael Branco, founder and CEO of Fireminds, said the deal would lead to at least three or four new jobs in Bermuda, as well as potential for extra posts in its Miami office. Mr Branco said the company’s expansion over the past few years had been fuelled from its own resources. He added: “To seize the opportunities out there, particularly in the cloud arena, we thought it best to get some capital into the company. We looked at a few options and ultimately ATN was the best partner for us — not only did they bring a capital injection, they also sit in multiple markets. It was capital injection to grow the business and access to other markets. That was key for us.” Fireminds will remain a stand-alone Bermuda-based company as a result of the deal, the terms of which were not disclosed, and Mr Branco will stay at the helm. Subsidiary Premier Tickets, a separate arm of Fireminds, is not included in the ATN deal. Mr Branco said: “I have worked with ATN extensively and I’m really thrilled to have them as part of the shareholders. I’m in for the long term and still a very significant shareholder along with ATN. In the next weeks and months, we definitely want to add three to four people — last Monday we added a new staff member. The growth is happening already. We will initially focus on growing in Bermuda. We have a lot of happy customers. Now we are part of a larger entity we can deliver a lot more to our customers in terms of more staff, upgraded technology and new opportunities. We always had a focus on innovative solutions and our customers. It’s all about the customers.” He added that software giant Microsoft — which has honored the firm as regional partner of the year three times in a row — was keen to see Fireminds expand its existing business in the Caribbean and Latin America. Mr Branco explained: “They want to do that because we are the intersection between software development and the cloud. The great bonus for our Bermuda staff, including me, will be travel. Our staff will be able to get that experience and broader opportunities to work on. We have spoken to most of our customers and they’re happy about the direction we’re going in. In IT, business is international — even here in Bermuda, we’re competing with overseas companies. This is a natural progression to better serve our Bermuda customers and also compete internationally. We now have a larger company, more resources to tap into and deeper pockets. Our customers are very happy with that.” Fireminds built and ran the America’s Cup ticketing system and also created the online census portal for the Bermuda Government, which was used by nearly three-quarters of respondents. This saved the public purse “seven figures” by cutting out home visits by census takers. Mr Branco said: “It’s going to be really exciting to see this company, which started in Bermuda, and see what it can do regionally.” Barry Fougere, ATN executive vice-president, said: “ATN’s investment will help accelerate Fireminds’ strategy to be a fully integrated cloud solutions provider that is a single source for all IT needs and will complement our existing telecommunications portfolio with bolt-on cloud and software development services. We look forward to working with Michael and his team to combine our resources to increase support for existing customers and fuel further growth in Bermuda and new jurisdictions.” ATN took over 51 per cent of KeyTech in May last year, while what is now One Communications got a $41 million cash injection and acquired ATN’s stake in CellOne. Thistle House, Burnaby Street, Hamilton. Has grown from a one-man operation based in Bermuda to a truly global business serving clients across the world in the space of 13 years. The international online payment, and fraud and data management solutions provider, delivers multi-currency, payment processing and risk management solutions for internet merchants and acquiring banks around the globe. Beginning essentially as a credit card payment gateway enabling merchants to sell their goods and wares and take payments electronically, the company expanded its range of services to offering more options outside of the standard MasterCard, Visa and American Express payments to allow people in countries such as Mexico where 80 percent of the population doesn’t have a credit card, to make purchases online. FAC joined forces with Ukash in 2009 to provide its customers with alternative payment options in Europe and emerging online consumer markets from Russia to Brazil. The service enabled FAC’s merchants in the Latin American Caribbean Region, the UK and Europe to accept risk-free cash payments on their website, giving them access to new consumer markets, and allowed consumers to buy securely, anonymously and privately online. The only local PCI DCS (Payment Card Industry Data Security Standard) certified Payment Gateway in Bermuda. Flagstone Re 2017. April 12. A founder and former chairman of Bermuda reinsurer Flagstone Re has died in Canada. Mark Byrne, who cofounded Flagstone with David Brown, died in Montreal last Thursday. He was 55. Mr Byrne was involved in the island’s insurance and reinsurance business as an owner, investor and board member for many years. Mr Byrne stepped down as executive chairman of Flagstone Reinsurance Holdings in 2010, shortly after Flagstone announced it had completed a redomicile from Bermuda to Luxembourg, although the company maintained its presence on the island. He helped found Flagstone in 2005, and after stepping down as executive chairman remained a board member for a number of years. Steve Coley, Flagstone’s governance committee chairman, said at the time: “Mark and David founded Flagstone together as partners and as the company has reached a certain level of maturity. Mark recommended and the board agreed that the executive leadership of only one of the founding partners is required to take the business forward.” Flagstone Re was acquired by Validus Holdings in 2012. Mr Byrne, originally from County Wexford, Ireland, was a qualified jet pilot and flew his own private plane around the world. He also headed Bermuda Government’s Education Board for a short time in 2009, standing down after six months due to what he said was a “a lack of political will” to improve the system. In 1993 he became chairman of Haverford, a holding company for insurance interests in Bermuda and internationally. Mr Byrne also set up Longtail Aviation in 1999. A self-confessed aviation fanatic, who started out learning how to fly gliders at age of 13, Mr Byrne said in 2008: “I love to fly whenever I get the chance. I fly helicopters, light planes, gliders, everything.” Longtail Aviation has offices in Martigny, Switzerland, and Halifax, Nova Scotia, as well as its headquarters at the Longtail Hangar in Southside, St David’s. Mr Byrne is survived by his wife Rebecca, four children, Sophie, Jacqueline, Matthew and Christopher, as well as his mother, Dorothy Byrne and brothers John and Patrick. Flag Telecom Holdings It filed in US Bankruptcy Court under Chapter 11. Compared to earlier, now with only a small presence in Bermuda. Nynex is the managing sponsor, providing full communications services in the northeastern USA and elsewhere globally. Other sponsors are the Dallah Al Baraka Group of Jeddah, Saudi Arabia; Marubeni Corporation of Japan; Gulf Associates Inc. of New York; Telecom Holding Co. Ltd., a wholly-owned subsidiary of Telecom Asia, the largest market-capitalized company on the stock exchange in Thailand; and The Asian Infrastructure Fund (AIF) of Hong Kong, a $1 billion fund that invests in entities engaged in developing and operating infrastructure projects in Asia. The FLAG (Fiber-optic Link Around the Globe) cable system cost $1.7 billion and entered service in November, 1997. FLAG is the first international submarine telecommunications cable to serve China. Flying Lion 2/15/1979. Private jet airline, Bermuda-registered. Flies UK opposition politicians world-wide. Owned by UK millionaire Lord Michael Ashcroft. Registered at Cedar Avenue in Hamilton. A Falcon 900EX allows its MP passengers to travel in comfort and style, with features such as supple leathers, glistening veneers and deep pile carpet as standard, according to French maker, Dassault. FloodSmart Re 2018. July 18. A new catastrophe bond that will transfer some US flood risks from the public sector to the private market is being hailed as “another significant first for the Bermuda market”. The bond will be issued through FloodSmart Re, a Bermuda-based special purpose insurer, and will seek to provide $275 million of reinsurance protection. A report on the alternative risk transfer website Artemis said the FloodSmart Re bond was the first to be launched by the US Federal Emergency Management Agency to cover certain risks of the National Flood Insurance Programme. FloodSmart Re will also be the first catastrophe bond to solely provide reinsurance coverage for flood risks. According to Artemis, the reinsurance coverage will apply only to FEMA and the NFIP’s exposure to flood events caused by US named storms. The news was welcomed yesterday by John Huff, chief executive officer of the Association of Bermuda Insurers and Reinsurers. Mr Huff said: “Another significant first for the Bermuda market. Bermuda is the world’s leader in property-catastrophe reinsurance expertise. Fema and NFIP should be applauded for their efforts to begin de-risking the US federal government from disaster risks. There is much more work to be done with abundant private-market capital available through traditional reinsurance, partner capital and capital markets. The US Congress should do more too and give consumers lower premiums by allowing private flood insurance options.” Artemis reported that Hannover Re is acting as the ceding reinsurance firm for the transaction, fronting the coverage for the NFIP. Fema also purchased $1.46 billion of private reinsurance on January 1, 2018, having benefited from the $1.04 billion of private coverage in bought in 2017, when hurricanes Harvey, Irma and Maria caused major damage in the US and its Caribbean territory, Puerto Rico. The NFIP paid out $8 billion in flood claims last year. The Reinsurance Association of America also welcomed the news yesterday. “The RAA has long advocated for the NFIP to utilize the private market to provide financial backing for the government’s flood risk,” Frank Nutter, president of the RAA, said. Along with its second successful placement of reinsurance coverage earlier this year, the cat bond issuance confirms Fema’s continued commitment to expanding private sector backing and the financial protections it will afford the NFIP and American taxpayers.” Mr Nutter added: “Fema recovered the full $1.042 billion of reinsurance coverage it placed with the private reinsurance sector in January 2017.” The notes are due to be sold in two tranches, according to Artemis, each of which will offer double-digit coupons to investors. Bermuda-registered Makes Lexapro, the world's third-best selling antidepressant, sold only in the USA. Has its headquarters and almost 100% of its sales in USA but being Bermuda-registered means it can escape many US taxes via a complex, multi-national tax avoidance structure. Forexter Trades foreign currencies in a unique way. Forum Financial Group Fund administrators, Forum Fund Services, now owned by US financial giant Citigroup. Foster Wheeler In February 2009 finished its relocation to Switzerland from Bermuda. In the top 100 of Federal contractors, with significant US Defense and Homeland Security contracts. In November 2000 the directors of this Clinton, New Jersey-based engineering and construction service provider approved the change of its legal domicile from Clinton, New Jersey, to Bermuda and duly re-incorporated in Bermuda, for significant tax savings. Most of its revenue and income come from outside the USA. Via its subsidiaries, it has a broad range of construction, design, engineering, manufacturing, project development, management, research and environmental services. A global company offering, through its subsidiaries, a broad range of engineering, procurement, construction, manufacturing, project development and management, research and plant operation services. Serves the upstream oil and gas, LNG and gas-to-liquids, refining, petrochemicals, chemicals, power, pharmaceuticals, biotechnology and healthcare industries. Fram Shipping Hayward Building, Hamilton. Phone 292-7495. Freescale Semiconductor Moved from Texas to Bermuda in 2006. 11/9/2006. Bermuda holding company, HQ in Austin, Texas, multinational. Frontier Financial Services Since 2000. Wessex House, 31 Reid Street, Hamilton HM 12. Phone 295-7653. Management consulting firm specializing in recruitment, secondment and payroll services in Bermuda. As the former, vets applications for employment including Work Permit related. 2018. September 26. Frontier Financial Services was yesterday crowned Bermuda’s best employer. The professional-services firm made a winning debut, taking top honours in its first entry into the RG Business Top Ten Employers Awards, presented by PwC Bermuda. Peter Brodsky, Frontier’s vice-president and chief financial officer, was taken aback by his company’s success. “It’s a bit of a shock — in a good way,” Mr Brodsky said. “We were happy to make the Top Ten and when you look at the companies represented in the room and how well respected they are, we’re just very excited and surprised. We’re a service-industry company, so our people are what matters. We try to create a family atmosphere in the workplace. Many of our people are with clients a lot of the time and we try to give them the experience they need to advance.” Frontier has been in business for 18 years, has 35 employees and its services include business consulting, recruitment, payroll and immigration. Frontline Shipping 11/18/2003. P. O. Box HM 1593, Hamilton HM GX. World's largest oil tanker operator. A Bermuda-registered tanker company. It owns and operates more than 70 oil tankers and more under construction. Norwegian multi-millionaire shipping magnate John Fredriksen was chairman until he retired October 31, 2003. 2017. May 30. Bermuda-based oil tanker operator Frontline Ltd is continuing to grow its fleet after profits plunged in the first quarter. The company announced net income of $27 million for the first three months of the year and a cash dividend of 15 cents per share. But with chief executive officer Robert Hvide Macleod citing growth opportunities in a “historically low asset price environment”, Frontline ramped up plans to boost its 55-vessel fleet. Notably it secured $221 million in financing, half each from Credit Suisse and ING, to help finance four new tankers. Frontline said boosted its growth plans by ordering two new buildings scheduled to be delivered during December 2018 and April 2019 and obtained options for two additional sister vessels scheduled to be delivered during August and November 2019 from HHI, Korea at $79.8 million per vessel. Mr Macleod said: “Notwithstanding near-term pressure on crude tanker rates, we believe the market will ultimately return to balance as demand for crude oil continues to increase and vessel scrapping will begin to offset the negative effect of new building deliveries. The recent market weakness and other factors have contributed to a historically low asset price environment that has presented us with opportunities to acquire modern tonnage at attractive prices.” Mr Macleod added that the company was divesting older vessels — it has terminated the charters for six ageing tankers, “vessels which have put pressure on our earnings lately and particularly in the first quarter”. Mr Macleod said: “As we have stated before, older vessels are increasingly difficult to trade, a fact that is amplified in a softer rate environment. In the last 12 months, we have taken steps to both grow and modernize our fleet through six resale purchases and new building contracts. We will continue to strive to create value for our shareholders by expanding our fleet through accretive transactions. Frontline has been trying to merge with another island-based tanker operator, DHT Holdings, but has been repeatedly rebuffed by the DHT board. Notwithstanding any potential outcome related to our proposal to effect a business combination with DHT, there are many opportunities to continue our strategy of fleet growth and renewal, and we are confident in our ability to execute on this strategy.” First-quarter profit plunged to $27 million from $79 million in the same period in 2016. Operating revenues dipped to $177 million — a fall of $50 million from last year’s three months. Shareholders’ equity as of March 31 this year climbed to $3.15 billion from $2.97 billion at the end of 2016. 2017. February 28. Frontline Ltd this morning reported fourth-quarter profit of $18.3 million, beating analysts’ estimates. However, Robert Hvide Macleod, the Hamilton-based oil tanker operator’s chief executive officer, predicted pressure on the rates at which the company can charter its tankers as newly built vessels come online in the industry. The company declared a dividend of 15 cents per share and shares rose 4 per cent to $7 in morning trading on the New York Stock Exchange. Frontline’s net income totaled 12 cents per share. Earnings, adjusted for non-recurring costs, came to 22 cents per share. The average estimate of three analysts surveyed by Zacks Investment Research was for earnings of 8 cents per share. The shipping company posted revenue of $178.3 million in the period. For the year, the company reported profit of $117 million, or 75 cents per share. Revenue was reported as $592.7 million. “The improvement in crude tanker rates in the fourth quarter was attributable to seasonality as we approached winter in the Northern Hemisphere as well as a strong increase in Opec volumes ahead of the implementation of production cuts,” Mr Macleod said in Frontline’s earnings statement. “We remain of the opinion that 2017 will see pressure on freight rates as further new buildings are delivered.” Frontline proposed a merger last month with fellow Bermudian tanker operator DHT Holdings, but the stock-for-stock transaction was rejected by the DHT board. In December last year, Frontline raised $100 million through a share offering. 2017. February 10. Bermuda-based Frontline Ltd has acknowledged the decision by DHT Holdings to reject an offer to combine the crude oil tanker businesses. Frontline, which is more than twice the size of DHT in terms of market capitalisation and fleet size, had proposed to acquire all the outstanding common shares of DHT for a per-share consideration of 0.725 Frontline shares. By doing so said it would create the largest public tanker company by fleet size and market capitalisation. However, the directors of DHT, which is also domiciled in Bermuda, this week unanimously rejected the unsolicited proposal. Erik Lind, chairman of DHT said: “We believe that Frontline’s proposal substantially undervalues our company and represents an opportunistic attempt to acquire DHT at a low point in the cycle.” In response, Robert Hvide Macleod, Frontline’s chief executive officer, said: “We believe that our offer to DHT shareholders is highly compelling since it provides a meaningful upfront premium, while also giving all shareholders the opportunity to realize the full benefit of the significant synergies and attractive upside that a combined company would create.” In a statement, Frontline said the proposed offer represented a 19 per cent premium on the share price of DHT at closing on January 27. The statement added: “Rather than engaging in discussions with Frontline with the aim of achieving the highest possible offer to create maximum shareholder value, the board of directors of DHT adopted a one-year shareholder rights plan and has since continued to refuse to enter into any discussions. DHT also stated that the proposed offer represented an opportunistic attempt to acquire DHT at a low point in the cycle, which Frontline finds irrelevant given the all-share offer.” Frontline believes that combining the two companies would better position them to participate in a market recovery. Frontline has a market capitalisation of $1.15 billion, and a fleet of 59 ships, including 19 very large crude carriers, also known as VLCC. Together with its affiliates, it has already bought 15.3 million shares of DHT, representing 16.4 per cent of its outstanding common stock. DHT has a market capitalisation of $44.9 million, and a fleet of 19 VLCC and two Aframax tankers. 2017. February 8. 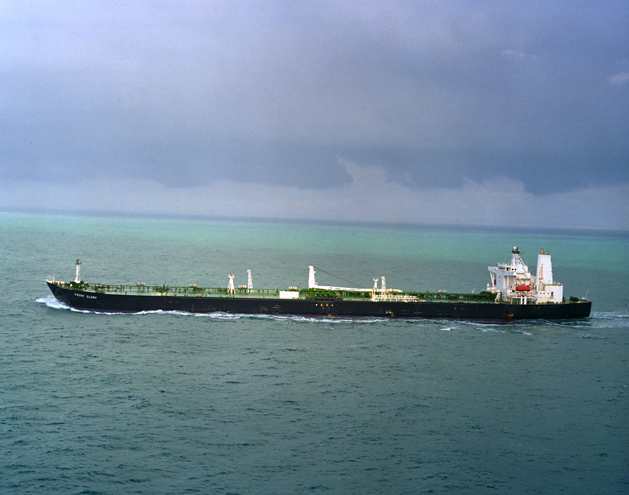 A bid was recently made by Bermuda-based Frontline Ltd to acquire an independent crude oil tanker company less than half its size. The non-binding proposal was rejected by the directors of DHT Holdings, which is also domiciled in Bermuda. Frontline has one of the world’s largest fleets of very large crude carriers, also known as VLCC, and Suezmax tankers. It has a market capitalisation of $1.15 billion, and a fleet of 22 VLCC, 17 Suezmax tankers, and 20 smaller tankers. Its target was DHT, which has a market capitalisation of $449.4 million, and a fleet of 19 VLCC and two Aframax tankers. Frontline proposed to acquire all the outstanding common shares of DHT for a per-share consideration of 0.725 Frontline shares. Together with its affiliates, it has already bought 15.3 million shares of the smaller company, representing 16.4 per cent of its outstanding common stock. In a statement, Frontline said a business combination between itself and DHT would create the largest public tanker company by fleet size and market capitalisation. However, DHT’s directors unanimously rejected the proposal. Erik Lind, chairman of DHT, said: “We believe that Frontline’s proposal substantially undervalues our company and represents an opportunistic attempt to acquire DHT at a low point in the cycle. We are confident that DHT will generate significantly more value to shareholders as an independent company than the prospects afforded by this proposal.” The directors rejected the proposal after giving it a “comprehensive review, conducted in consultation with its financial and legal advisers,” the company said in a statement. DHT was formed in 2005 and operates through management companies in Oslo, Norway and Singapore. Fruit Shippers 12/12/1974. Controlling shareholder is Alvaro Noboa, richest man in Ecuador. Fruit of the Loom A subsidiary of Berkshire Hathaway. Website fruit.com. American apparel and underwear corporation incorporated in Bermuda. Formerly based in Bowling Green, Kentucky. Its shareholders voted to re-incorporate in Bermuda on March 4, 1999, for significant tax savings. Its products are sold in many countries including Bermuda. It has $ multi-million US Defense and Homeland Security contracts. Fuisz International (Bermuda) 31 Church Street, Hamilton HM 12. Phone 296-7631. Fulcrum Group 69C Pitts Bay Road, Pembroke HM 08. Phone 295-1355. A hedge fund administrator. Bermuda's Insurance Companies M to Z.